Tamarind is a tree species in the pea or bean family that is native not to India but tropical Africa, and used around the world as a flavouring, a food, and a plant-based dye. There are actually many plant species used as "tamarind" flavouring, so if you want an authentic flavour to your food you need to make sure you get the right species! When ground, it's nearly impossible to tell real tamarind from the fake stuff, so always buy it unground to make sure you're getting what you're supposed to get. Because the tamarind is part of the bean family, it does produce a pod that is the fruit of the tree, and the fruit is what is consumed. The very tough outer covering must be removed, revealing the reddish-brown squishy insides of the fruit. This can be mashed into a paste, and used in cooking. Depending on if the fruit is ripe or not the flesh on the inside has very different tastes: unripe fruit are very, very sour and used as pickling agents, and ripe fruits are much sweeter and used for flavouring main dishes and even desserts. 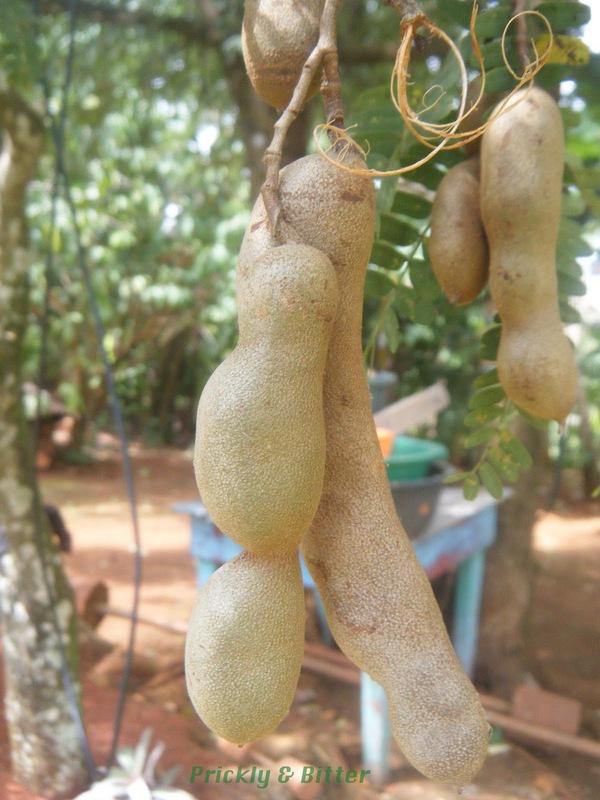 Tamarind fruits are very, very good for you. They have very high levels of calcium in the ripened flesh, as well as surprisingly high amounts of various B vitamins. Both of these are unusual to find in fruits! My favourite use of tamarind is in a beverage; there is a typical Nicaraguan drink made out of chia seeds, lemon juice and tamarind juice that is this really odd brown colour and has slimy seeds floating in it. Sounds gross, looks less than appealing, but MAN is it ever good. I've tried re-creating it once but can't quite get the proportions right. I need a Nicaraguan friend to teach me how to make it! Tamarind wood is also some of the most beautiful wood in fine furniture and other decorative products, with the heartwood (or the "old wood" on the inside of the tree) being a bright red without a stain. The sapwood is a reddish yellow, and stains much darker red when a "mahogany" stain is added. 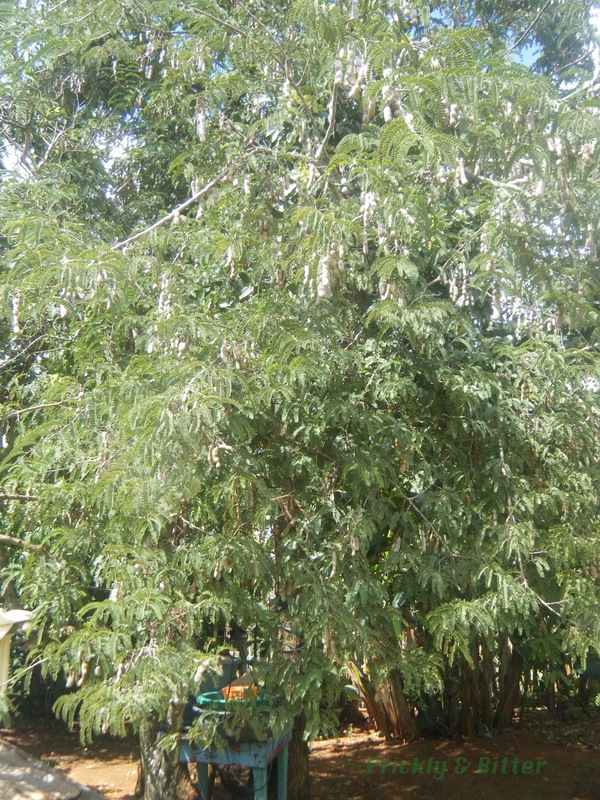 This wood is sometimes marketed as mahogany wood outside of Latin America and tropical Asia and Africa, but there is one major difference between tamarind wood and true mahogany: strength. 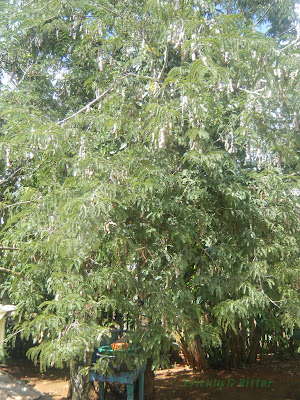 The strength of mahogany trees is tremendous (and a "mahogany tree" doesn't really exist; like with tamarind, many species would be what we would call "real mahogany"), while tamarind trees are a bit wussy. If wood was needed for extreme strength like a bed frame to hold up a North American-style bed, this would not be your wood of choice. If all you're making is a decorative art piece and want dark red wood, this would be the wood for you! It looks amazing in jewelry boxes. While it can't withstand extreme weight, it is very durable and very dense wood so would be perfect for other furniture like tables and chairs. The ground fruit can also be used for another purpose in home decoration: it can be used to remove the tarnish on brass, copper and silver. Grind up some of the flesh of the fruit, apply to a rag and rub. When the patina or the tarnish is removed, rinse with water and you're done! 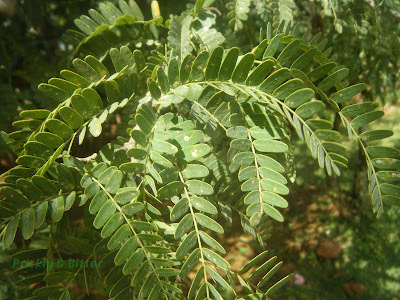 The medicinal uses of tamarind are long and also depend on the country that uses it. In Nigeria it is used to treat stomach disorders, in Indonesia and Malaysia it is used to treat malaria, in other countries in southeast Asia it is used to treat fever, and in India it is used to treat cardiovascular problems and digestive problems. Again, traditional Indian medicine (Ayurveda) is onto something with this plant; excessive consumption of this plant will lead you to notice its primary medicinal value: it is a very potent laxative. There are other claims that tamarind can delay the onset of the most severe symptoms of osteoporosis because it contains so much calcium, as well as claims it can reduce circulating levels of cholesterol. Neither of these have been shown to be true in human studies, but if you have a pet rat that you don't want to die of low bone density you could try feeding it some tamarind paste in its regular diet, and if you have a chicken you're especially fond of that doesn't watch what it eats, you could give it some tamarind paste to reduce circulating levels of cholesterol. Don't expect this effect to be translated into eggs; the yolks of eggs laid by chickens whose diets have been supplemented with tamarind contain no less cholesterol than those that haven't been fed a supplemented diet. Too bad.